People with an interest in Scottish history are being invited to find out more about a key location in the nation’s past by attending a new summer school on the isle of Iona. Known as the “cradle of Christianity” in Scotland, the island was the landing place of Irish missionary monk Columba in 563. The location garnered a reputation as a centre of learning and pilgrimage, becoming the final resting place of 48 Scottish Kings, including Macbeth and Cinaed mac Ailpin, the King of Picts. Staff from the University of the Highlands and Islands’ Centre for Nordic Studies are partnering with the Iona Community to offer the summer school in May. 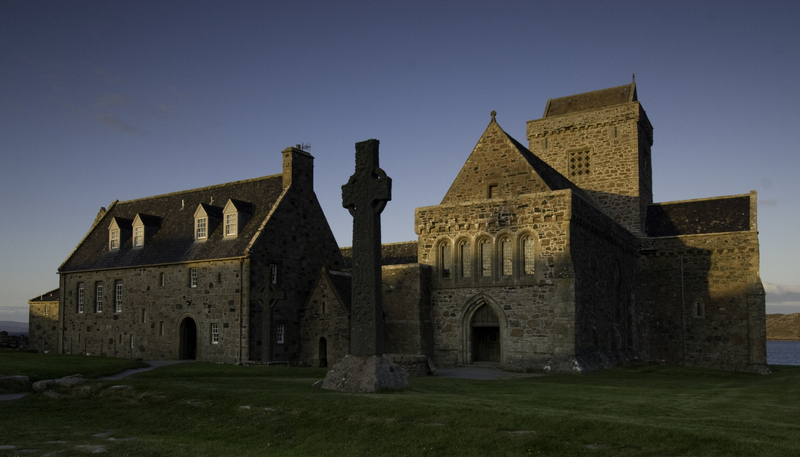 Participants will stay in the island’s ancient abbey and learn about the history, folklore and culture of Iona, about St Columba and the early church and about Celtic sculpture and literature. The week-long programme also features field trips to key sites around the island, a visit to Fingal’s Cave on the isle of Staffa and evening social events including a ceilidh and a beginners’ Gaelic class. Professor Donna Heddle, director of the university’s Centre for Nordic Studies, said: “It is very exciting to be part of the first collaboration between Iona, Scotland’s oldest seat of learning, and the University of the Highlands and Islands, Scotland’s newest university. Alexandra O’Neill, the Iona Community’s media and marketing manager, added: “We are looking forward to working in partnership with the University of the Highlands and Islands this summer. The “A Window on Iona” summer school will run from May 16-22.